Sir Michael Anthony Eardley Dummett, FBA (27 June 1925 – 27 December 2011) was a British philosopher, described as "among the most significant British philosophers of the last century and a leading campaigner for racial tolerance and equality." He was, until 1992, Wykeham Professor of Logic at the University of Oxford. He wrote on the history of analytic philosophy, most notably as an interpreter of Frege, and has made original contributions to the subject, particularly in the philosophies of mathematics, logic, language and metaphysics. He was known for his work on truth and meaning and their implications for the debates between realism and anti-realism, a term he helped popularize. He devised the Quota Borda system of proportional voting, based on the Borda count. In mathematical logic, he developed an intermediate logic, already studied by Kurt Gödel: the so-called Gödel–Dummett logic. In 1979, Dummett became Wykeham Professor of Logic at Oxford, a post he held until retiring in 1992. During his term as Wykeham Professor, he held a Fellowship at New College, Oxford. He has also held teaching posts at Birmingham University, UC Berkeley, Stanford University, Princeton University, and Harvard University. 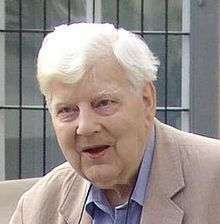 He won the Rolf Schock prize in 1995, and was knighted in 1999. He was the 2010 winner of the Lauener Prize for an Outstanding Oeuvre in Analytical Philosophy. In his 1963 paper Realism he popularised a controversial approach to understanding the historical dispute between realist and other non-realist schools of philosophy such as idealism, nominalism, Irrealism etc. He characterized all of these latter positions as anti-realist and argued that the fundamental disagreement between realist and anti-realist was over the nature of truth. For Dummett, realism is best understood as accepting the classical characterisation of truth as bivalent (every proposition is either true or false) and evidence-transcendent, while anti-realism rejects this in favor of a concept of knowable (or assertible) truth. Historically, these debates had been understood as disagreements about whether a certain type of entity objectively exists or not. Thus, we may speak of (anti-)realism with respect to other minds, the past, the future, universals, mathematical entities (such as natural numbers), moral categories, the material world, or even thought. The novelty of Dummett's approach consisted in seeing these disputes as, at base, analogous to the dispute between intuitionism and Platonism in the philosophy of mathematics. It is now common, thanks to Dummett's influence, to speak of a post-Dummettian generation of English philosophers, including such figures as John McDowell, Christopher Peacocke, and Crispin Wright—though only Wright has been fairly close to Dummett on substantive philosophical questions. Dummett was politically active, through his work as a campaigner against racism. He let his philosophical career stall in order to influence civil rights for minorities during what he saw as a crucial period of reform in the late 1960s. He also has worked on the theory of voting, which led to his introduction of the Quota Borda system. Dummett and Robin Farquharson published influential articles on the theory of voting, in particular conjecturing that deterministic voting rules with more than three issues faced endemic strategic voting. The Dummett–Farquharson conjecture was proved by Allan Gibbard, a philosopher and former student of Kenneth J. Arrow and John Rawls, and by Mark A. Satterthwaite, an economist. Dummett was also an established scholar in the field of card games history, with numerous books and articles to his credit. He is a founding member of the International Playing-Card Society, in whose journal The Playing-Card he regularly published opinions, research and reviews of current literature on the subject; he is also a founding member of the Accademia del Tarocchino Bolognese in Bologna. His historical work on the use of the tarot pack in card games - he has said "(t)he fortune telling and occult part of it has never been my principal interest..." - The Game of Tarot: From Ferrara to Salt Lake City, attempted to establish that the invention of Tarot could be set in 15th-century Italy. He laid the foundation for most of the subsequent research on the game of tarot, including exhaustive accounts of the rules of all hitherto known forms of the game. His analysis of the historical evidence suggested that fortune-telling and occult interpretations were unknown prior to the 18th century. During most of their recorded history, he wrote, Tarot cards were used to play an extremely popular trick-taking game which is still enjoyed in much of Europe. Dummett showed that the middle of the 18th century saw a great development in the game of Tarot, including a modernized deck with French suit-signs, and without the medieval allegories that interest occultists, along with a growth in Tarot's popularity. "The hundred years between about 1730 and 1830 were the heyday of the game of Tarot; it was played not only in northern Italy, eastern France, Switzerland, Germany and Austro-Hungary, but also in Belgium, the Netherlands, Denmark, Sweden and even Russia. Not only was it, in these areas, a famous game with many devotees: it was also, during that period, more truly an international game than it had ever been before or than it has ever been since...."
Dummett died in 2011, aged 86. He was survived by his wife Ann, whom he married in 1951 (and who died in 2012), and by three sons and two daughters. A son and daughter predeceased their parents. Rudolf Farra and Maurice Salles (October 2006). "An Interview with Michael Dummett: From analytical philosophy to voting analysis and beyond". Social Choice and Welfare. 27 (2): 347–364. doi:10.1007/s00355-006-0128-9. ↑ Stuart Brown (ed. ), Dictionary of Twentieth-Century British Philosophers, Vol. 1, Bloomsbury Publishing, 2005, p. 237. 1 2 3 Michael Dummett, The Interpretation of Frege's Philosophy, Duckworth, 1981, p. xv. ↑ Michael Dummett, Origins of Analytical Philosophy, Bloombury, 2014, p. xiii; Anat Biletzki, Anat Matarp (eds. ), The Story of Analytic Philosophy: Plot and Heroes, Routledge, 2002, p. 57: "It was Gilbert Ryle who, [Dummett] says, opened his eyes to this fact in his lectures on Bolzano, Brentano, Meinong, and Husserl. ↑ "Obituary for Professor Sir Michael Dummett". London: Telegraph. 28 December 2011. Retrieved 29 December 2011. ↑ Dummett, Michael, "Preface to the first edition" in Frege: Philosophy of Language, Second Edition (Harvard University Press, 1981), p. xii. ↑ Dummett, Michael (2005). "The work and life of Robin Farquharson". Social Choice and Welfare. 25 (2): 475–483. doi:10.1007/s00355-005-0014-x. ↑ Gibbard, Allan (1973). "Manipulation of Voting Schemes: A General Result". Econometrica. 41 (4): 587–601. doi:10.2307/1914083. JSTOR 1914083. ↑ Satterthwaite, Mark A. (1975). "Strategy-proofness and Arrow's Conditions: Existence and Correspondence Theorems for Voting Procedures and Social Welfare Functions". Journal of Economic Theory. 10 (2): 187–217. doi:10.1016/0022-0531(75)90050-2. ↑ Rudolf Farra and Maurice Salles (October 2006). "An Interview with Michael Dummett: From analytical philosophy to voting analysis and beyond". Social Choice and Welfare. 27 (2): 347–364. doi:10.1007/s00355-006-0128-9. ↑ Dummett, Michael (2004). A History of Games Played With the Tarot Pack: The Game of Triumphs, Vol. 1. ↑ Sir Michael Dummett obituary in The Scotsman Online. ↑ Burge, Tyler (July 1984). "Review: The Interpretation of Frege's Philosophy by Michael Dummett". The Philosophical Review. 93 (3): 454–458. doi:10.2307/2184550. JSTOR 2184550. ↑ Eggenberger, Peter (September 1980). "Review: Elements of Intuitionism by Michael Dummett". The British Journal for the Philosophy of Science. 31 (3): 299–301. doi:10.1093/bjps/31.3.299. JSTOR 686924. ↑ Schim, Matthias (December 1981). "Review: Truth and Other Enigmas by Michael Dummett". The British Journal for the Philosophy of Science. 32 (4): 419–425. JSTOR 687314. ↑ Shieh, Sanford (May 2008). "Review: Truth and the Past by Michael Dummett". History and Theory. 47 (2): 270–278. doi:10.1111/j.1468-2303.2008.00451.x. JSTOR 25478749. "Remembering Michael Dummett", at The Stone, New York Times blogs, 4 January 2012.